﻿ Tiny Martian Inside Curiosity Rover's Wheel? Incredible mars anomaly found in NASA's Sol 1119 Curiosity Front Hazcam: Left B, captured what appears to be another cover-up by NASA, NASA has many tactics for covering up anomalies on Mars, for example in this image, they have made it darker than the usual images from NASA, when they do this i know it's because they are trying to hide something, NASA's image quality just keeps getting worse as people find incredible anomalies, in this image there appears to be what looks like a small being inside the Curiosity Rover's wheel, this could very well just be ROCK inside the wheel as the rover travels across the Martian Terrain , but to me it seem's to be staring straight into Curiosity Rover's Camera, ROCK or Little Alien Being? let me know what you think in the comment section bellow. 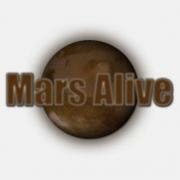 Please watch: "Reptile or Fish on Mars"